Your child may not have all their teeth yet, but it’s never too early to practice preventive dentistry. 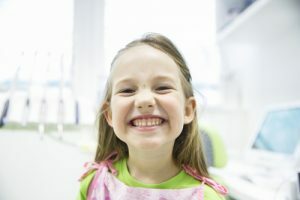 Good oral health begins at a young age, and so does the establishment of a positive connection between your child and their dentist. Introduce your child to Moorestown Dental Professionals, the biomimetic dentistry practice that is home to Dr. Ahmed Esmail and Dr. Donna Rush-Esmail, the only two dentists qualified in biomimetics in New Jersey. Our Moorestown dental practice takes the responsibility of treating the littlest dental patients very seriously. Not only does every successful visit to the dentist keep your child’s teeth healthy, it also reinforces a good relationship between your child and his or her dentist. Kids who are afraid of the dentist become adults who are afraid of the dentist and more likely to develop oral health problems or avoid visiting the dentist entirely. Infants and toddlers are not equipped to take care of their own teeth yet, but they should certainly be exposed to the environment of a dental office, the dentist’s chair, and dental cleanings every six months. By making your child’s dental health a priority, you demonstrate that dentistry is important and instill in your child the desire to maintain good oral health. Most importantly, every visit to a pediatric dentist gives parents the opportunity to brush up on their education concerning the care of their child’s primary teeth. Brushing and flossing may be an unconscious habit for you (and your kids are watching you do it), but taking care of your child’s teeth requires effort and determination. A gentle staff well-versed in the dental needs of kids will help you adopt the techniques to successfully maintain your child’s oral health at home in between dental visits. Your child’s first visit to a pediatric dentist is critical. Establishing a kid-friendly environment gets the visit off to a good start. Families enter our Moorestown biomimetic and pediatric dental office and are welcomed into a family area populated with toys and books. Our dentists, hygienists, and support staff make it a priority to explain every move to our pediatric patients in terms they understand. It’s essential to get on a child’s wavelength to help them absorb what’s happening so they can experience a pleasant first dental visit. This involves explaining the names and functions of the tools they see and using accessible language that kids understand. We do not force our littlest patients to do anything they’re not ready to do yet at the dentist. It may take a visit or two before your child is even ready to get in the dental chair and experience a dental cleaning and exam, or perhaps they will want to you to hold them the first few times. We are prepared to make your visit a happy and easy one, and appreciate and respect the unique needs of children. A dental environment can look and sound frightening to the uninitiated. Our goal is to take the mystery out of the dental office, establish it as a safe place to be, and start every child off on a lifetime of good oral health. Education about good oral hygiene habits is ongoing, whatever the age of our patients. When kids start to lose their teeth, though, a new phase of biomimetic dentistry and pediatric dentistry begins. Many children benefit from dental sealants to protect and strengthen their permanent molars. Sealing the biting surface of the teeth in this way helps prevent cavities and keep those hard-won molars in good condition. Fluoride treatments are also a normal part of every preventive care visit for your child. The application of fluoride helps strengthen your child’s teeth. Biomimetic dentistry is about maintaining the natural tooth, and adult teeth begin in childhood. In biomimetic dentistry, we believe in early diagnosis and treatment. Kids have oral health problems sometimes, whether it’s a cavity or a broken tooth or anything in between. 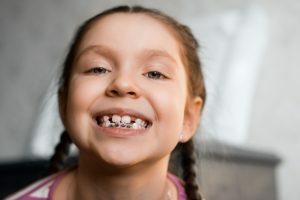 Should a child need a restorative treatment, we maintain as much of the tooth’s natural integrity as possible to reduce or eliminate the need for further, invasive restorations. Children are evaluated for orthodontic treatment around the age of 7 or 8, even if they have not yet lost all their baby teeth and even if their adult teeth have not all erupted. Orthodontics can sometimes be avoided entirely with early intervention, for example, for thumb suckers. Adolescence brings in a new phase of dentistry, one that often involves braces. Our biomimetic dentistry practice likes to provide options to our orthodontic patients. We offer functional orthodontics, a treatment that methodically and carefully addresses tooth and jaw alignment without extraction or surgery. Orthodontic treatment at a pediatric dentistry service can also take the form of clear aligners or traditional metal braces. In biomimetic dentistry, the best dentistry is no dentistry. Biomimetic dentists believe in maintaining the natural tooth and addressing any problems as conservatively as possible. Kids latch onto this methodology, appreciating that – even in the midst of losing their teeth – their biomimetic dentist does everything possible to maintain their oral health and smile using their natural teeth. Dental anxiety often begins in childhood, but if you approach dental care positively your children will too. 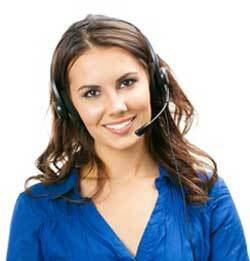 Moorestown Dental Professionals is here to help. Contact our office to schedule a consultation or your child’s first dental visit with Dr. Esmail or Dr. Rush-Esmail. We look forward to welcoming your child to our dental family.